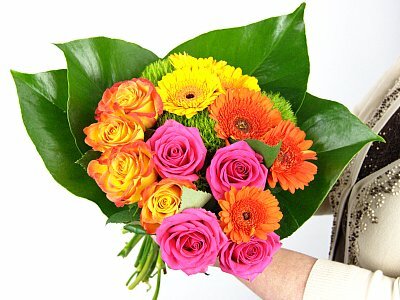 Roses with fabulous gerberas, with free UK flower delivery, delivered on our next day service. Only ##price## from Clare Florist. Fresh flowers delivered, from Clare Florist.